Identity Crisis is a Seattle based band made up of songwriting duo Charlie Hiestand and Jean Mishler, along with Brian Kirk (Pointer Sisters), Thane Mitchell (Brand New Heavies) and local jazz musicians, Sura Charlier, Jamael Nance and Nate Parker and many others. Melanie Fernandi, the writer of the third track, "Favorite Game," is an ex-Seattleite currently living in New York. The list of influences for the "If you like..." feature on CDBaby only includes three names. These are a good start, but there are strong influences from many others including Schumann, the Beatles, the Moody Blues, Debussy, Ned Rorem, etc. Charlie likes lots of different kinds of music; in Mosaic he is trying to be eclectic yet true to his tastes. FANS - Please checkout Charles Hiestand iTunes page play / purchase some great new music! 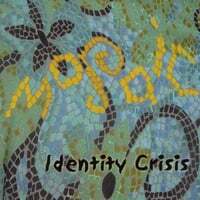 RadioIndy is pleased to present Identity Crisis with a GrIndie Award for the CD "Mosaic "
Identity Crisis Press Release on Digg.com! Recommended if you like Joe Jackson, Mamas and the Papas, Carole King.